I have spent the past two decades in leadership roles guiding organizations to places they never thought possible. Places that have brought greater impact and renewed relevance. Remarkable places. My work has been recognized globally, and my leadership impact has crossed borders into international realms. Most recently, as President and CEO of the Calgary Chamber, I led a transformation that resulted in a national and international award-winning organization. I help leaders, executives and boards make their organizations remarkable. 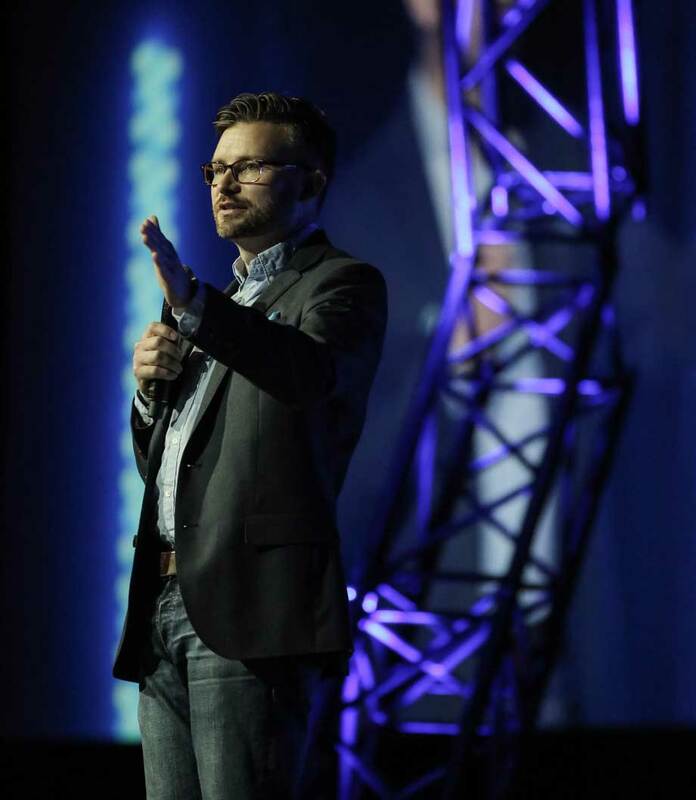 I am passionate about helping leaders define their organizational purpose and culture, bring together the right people as a high performing team, and create the right platform for achieving extraordinary results. Based on decades of leadership experience, I have developed a structure—a DNA or blueprint so to speak—that any organization can use in order to address the complex forces they face—it is called Remarkability. I wrote a book about it called Making Remarkable: How to Deliver Purpose, Inspire People and Build a Platform for Exceptional Results. When I am not helping organizations become remarkable, I am also the Director, Global Business Futures Initiative at the Canadian Centre for Advanced Leadership in the Haskayne School of Business at the University of Calgary. There, I am exploring the future of business, its role in society and ensuring that business can thrive over the long-term in times of change and disruption through advanced leadership and strategy. What is remarkability? It is a state of being exceptional in your performance, relevance and value. It is being in a state that enables your organization to do its finest work and to therefore make an unparalleled impact on your customers, members, communities and the world. There are three pillars to remarkability: purpose, people and platform. Purpose – Your purpose is your why. Your reason for existence. It is a foundational component of your brand. It is your culture and your values. People – People are the driving force behind any remarkable organization. If the right people are on board to govern, work for, and support an organization and they are bought into its purpose, then there is little they cannot do. Platform – The platforms of a remarkable organization enable the purpose to come to life, and the people to deliver on their task; things like your value proposition, strategies and plans, performance systems, and technologies. Remarkable organizations only happen when time, attention and energy is paid to the health of their purpose, people and platform. Each one of them, tuned to the right condition, is vital to achieving remarkability. Remarkability is no easy task; it is complex and there are no easy answers. Becoming, and staying, remarkable means adapting to, and evolving with, change; the change that is constantly happening all around you. You must be able to adapt, or even transform, your organization in order to thrive in complex and changing times. But the benefits are immense. Greater impact. Better revenues and growth. Increased relevance. Legacy. Better staff retention and recruitment. Greater engagement. More satisfied customers and members. Bigger fans. Enhanced profile and reputation. Improved morale and more high-fives around the office. Doesn’t all that seem worth the effort? 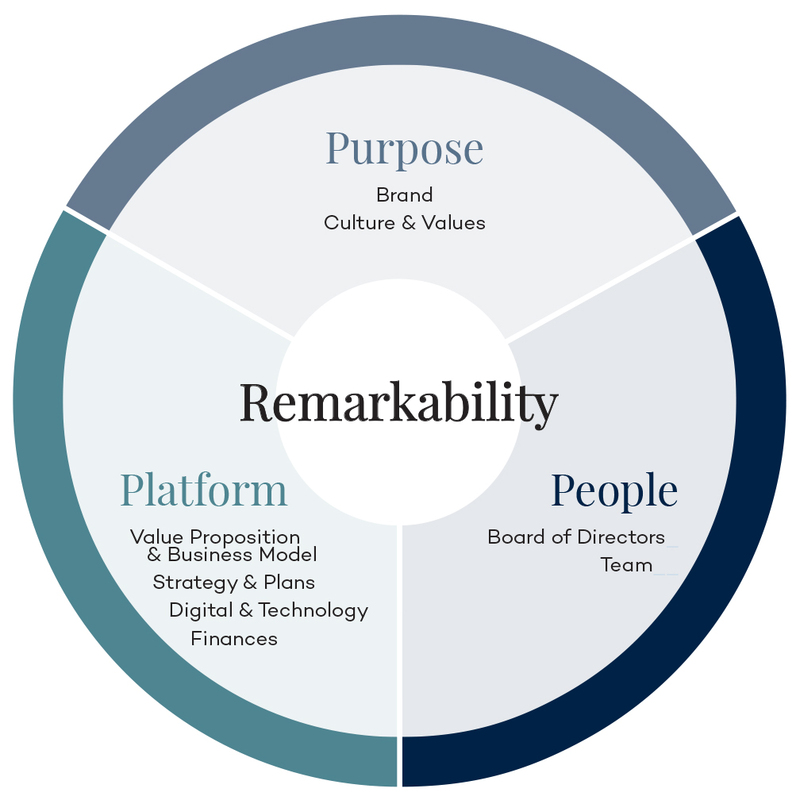 You can learn more about remarkability in my book Making Remarkable: How to Deliver Purpose, Inspire People and Build a Platform for Exceptional Results.